Valutata dagli ospiti dopo il soggiorno presso City Center Apts. Assicurati un ottimo prezzo per City Center Apts, valutato di recente dagli ospiti con un punteggio di 9,7. Il City Center Apts sorge a Heraklion, a 400 m dal Museo Archeologico, a 500 m dal Museo Civico della Battaglia di Creta e della Resistenza Nazionale e a 1,3 km dalle Mura Veneziane. 6 km dal Palazzo minoico di Cnosso. L'appartamento presenta una cucina con lavastoviglie, forno e macchina da caffè. A vostra disposizione anche 1 bagno. Il City Center Apts dista 600 m da Koules e meno di 1 km dalla Galleria d'Arte Municipale. 4,4 km dall'Aeroporto Internazionale di Heraklion, lo scalo più vicino. 뀐 Situata nel vero cuore di Heraklion, questa struttura ha un ottimo punteggio per la posizione: 10,0! Quando vuoi soggiornare presso City Center Apts? Appartamento climatizzato con lavastoviglie e utensili da cucina. Parcheggio privato disponibile in zona senza prenotazione al costo di 2,50 EUR al giorno . 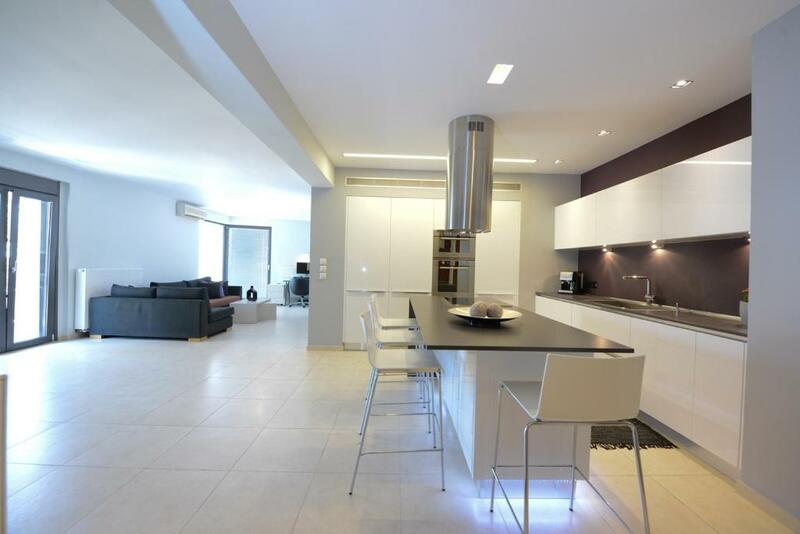 Two great modern and newly build, 3 bedroom apartments in the center of Heraklion fully equipped and suitable for families or company of friends or couples. 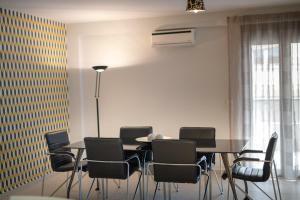 The apartments are within walking distance of all major sites of the city, museums, restaurants and bars. 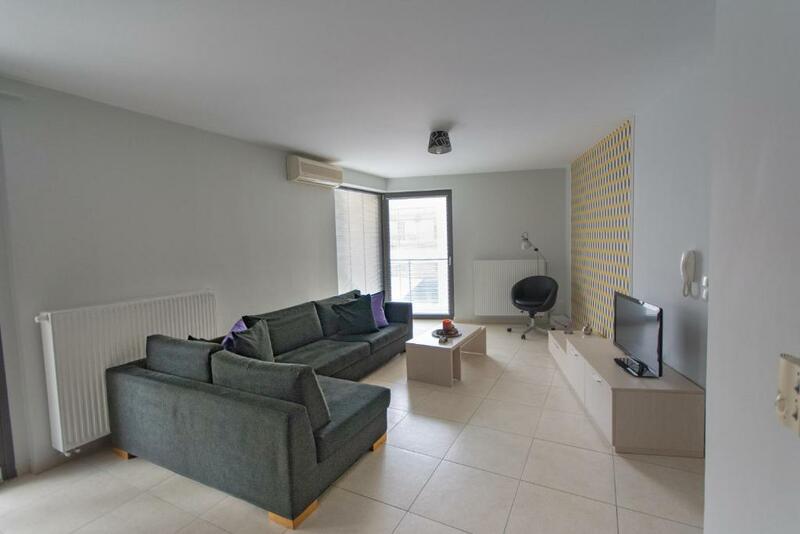 The space for both apartments is 130 sm (1400 sf) and both have WIFI, are in the heart of Heraklion newly build with 3 bedrooms and 2 bathrooms. 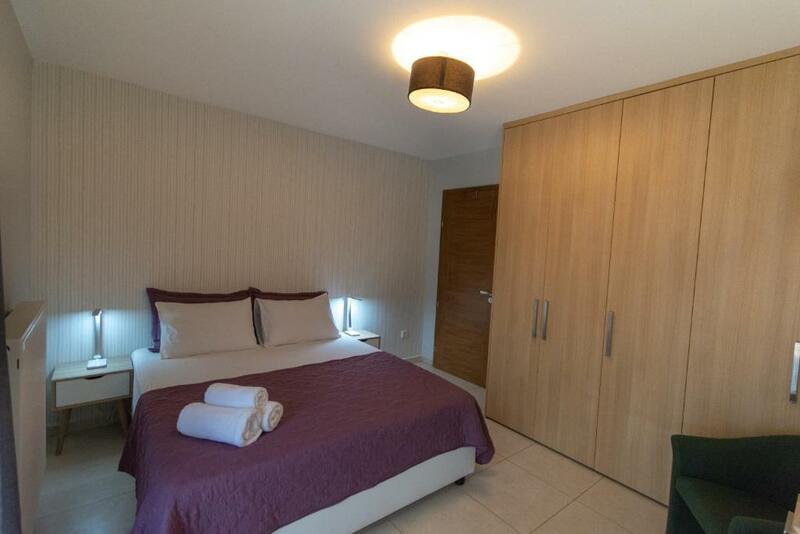 The apartments are fully equipped and can accommodate 6 persons each. Both are surrounded with spacious balconies including the bedrooms. 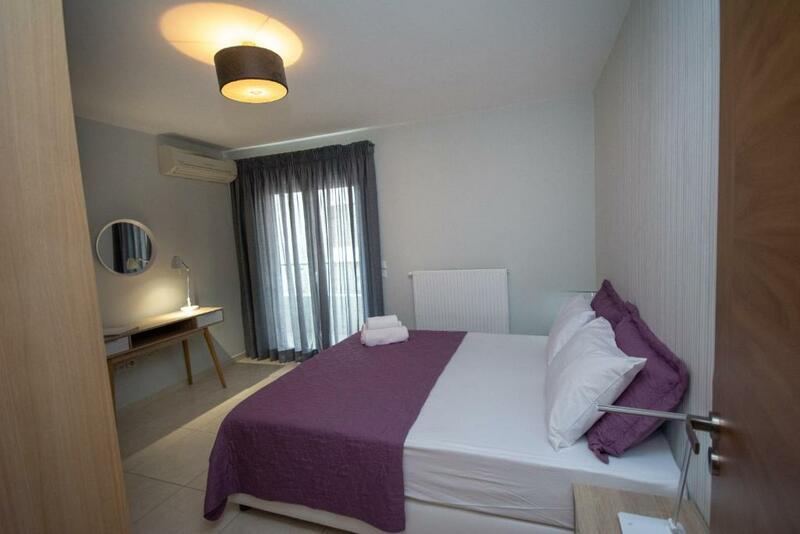 All rooms are air conditioned and the both apartments have central heating. All bedrooms are fully equipped with huge closets and space. One the bedrooms can be used as children's room with toys and a bed suitable for a child up to 5 years (it can also be transformed into a 2 bed room). 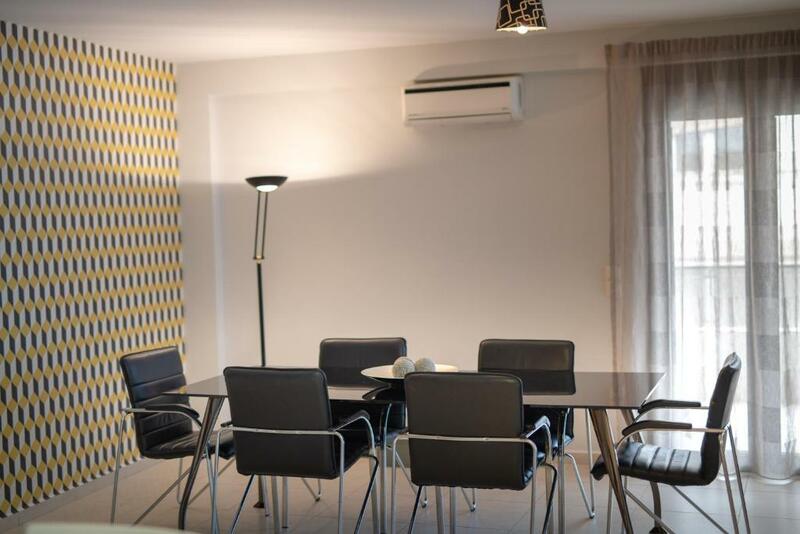 In the relaxing living room you can find an office with a personal computer with internet and several movies to enjoy and a dinning table. 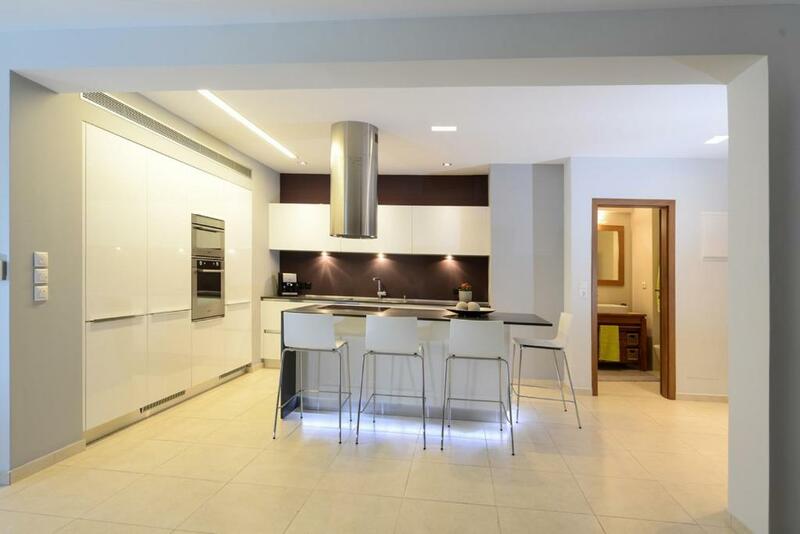 Both kitchens are fully equipped with all the necessary kitchenware a large fridge, a refrigerator, oven, microwave oven, cooking hob, dish washer, coffee machine and an islet for eating. Hi guest and welcome!!! My name is Alex and I am ready to welcome you in my apartment in the center of Heraklion Crete. I highly value family and friends. I am also ready to help you by any means necessary during your stay in Heraklion, by providing information or any other guides that you might need during your vacation. I am a movies fanatic, I enjoy good quality food and I have a lot of friends owning taverns or restaurants that I can suggest to you. For the guest that wants to "party a bit" I can also suggest bars and other places that might find interesting. I also like going to the beach during summer and I can provide information with best places to visit and best beaches. Should you encounter any problem during your stay have in mind that I can be there for you to try my best to solve it. Hope to see you soon and find myself useful for your accommodation. The unique location of the apartments provides a peaceful but colorful street with several taverns just moments away. All the major sites of the city are just within walking distance away from the apartments. The beautiful old port of Heraklion the archeological and historical museum, the four lions fountain (Morosini) are all within your grasp. Restaurants and take away food are a stone's throw away and guests have a large variety to choose from. Also, for the those that want to party, all the bar and clubs are close to the apartment and you can have a variety to chose from. Getting around the city and its sites requires no means of transport as all the major attractions are within walking distance from the apartments. All major transport means are moments away from the apartments (busses, taxis). Distance from the airport to the apartment is about 5 minutes with car and so is the port. Guests can find 3 parking facilities located within 1 minute walk from the apartment and can rent a space for their car (which I can help you organize) with an easy access to the major exits for the highway. Leggi prima di prenotare City Center Apts accetta le richieste speciali. Aggiungile nel prossimo passaggio! Siete pregati di comunicare in anticipo a City Center Apts l'orario in cui prevedete di arrivare. Potrete inserire questa informazione nella sezione Richieste Speciali al momento della prenotazione, o contattare la struttura utilizzando i recapiti riportati nella conferma della prenotazione.